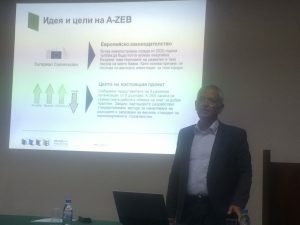 AZEB aims to combine the knowledge and experiences of stakeholders and existing case studies into a set of solutions for the development of cost effective new NZEB’s. 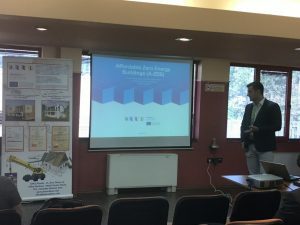 This set of solutions will form the basis for the AZEB methodology, that will give guidance to specific target groups in the market to create affordable (nearly) zero energy buildings. These target groups are decision makers and experts, who can use the methodology to make cost optimal decisions, give cost optimal advice and cost optimally implement the decisions made. exchange experience and seek ways through best practices and personal research, to develop an integrated methodology for cost effective reduction of such projects. 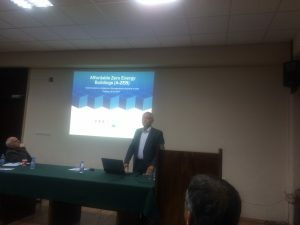 In February 2018, the first part of the project was completed, especially the conditions of construction of near zero-energy buildings in these six countries. During the next weeks, we will present the results of this phase, and today we are focusing on the integration of renewable energy sources. 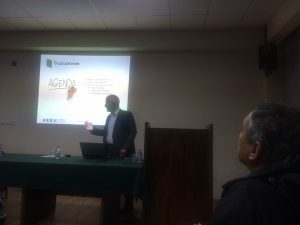 8 different sources have been researched and described which, unlike Bulgaria, have been utilized and used in other countries. An example of this is biomass energy.